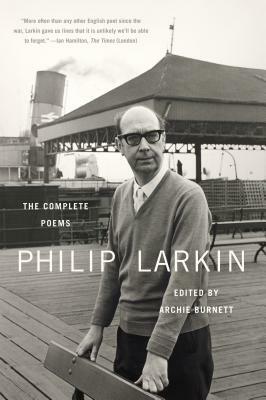 This entirely new edition brings together all of Philip Larkin's poems. In addition to those that appear in Collected Poems (1988) and Early Poems and Juvenilia (2005), some unpublished pieces from Larkin's typescripts and workbooks are included, as well as verse—by turns scurrilous, satirical, affectionate, and sentimental—that had been tucked away in his letters. For the first time, Larkin's poems are given a comprehensive commentary. This draws critically upon, and substantially extends, the accumulated scholarship on Larkin, and covers closely relevant historical contexts, persons and places, allusions and echoes, and linguistic usage. Prominence is given to the poet's comments on his own work, which often outline the circumstances that gave rise to a poem or state that he was trying to achieve. Larkin often played down his literariness, but his poetry enrichingly alludes to and echoes the writings of many others. Archie Burnett's commentary establishes Larkin as a more complex and more literary poet than many readers have suspected. Philip Larkin (1922-1985) grew up in Coventry, England. In 1955 he became librarian of the Brynmor Jones Library at the University of Hull, a post he held until his death. He was the recipient of innumerable honors, including the Queen's Gold Medal for Poetry. Archie Burnett is co-director of the Editorial Institute and professor of English at Boston University. He has edited the Oxford editions of The Poems of A. E. Housman and The Letters of A. E. Housman.